Championing an independent viewpoint and global approach to its impressive readership of over 3 million, an Economist magazine subscription is an absolute essential for followers of international news, business and politics. Interested in getting the facts behind the latest news, finances and current affairs? Championing a ‘unique global perspective’, The Economist takes an informed and independent approach to politics, news and UK/international business. Each week, The Economist gives you the lowdown on (and the story behind) major developments around the world. It’s the news you wanted – and needed – to know. Learn, share and debate today’s current issues with an Economist magazine subscription today! 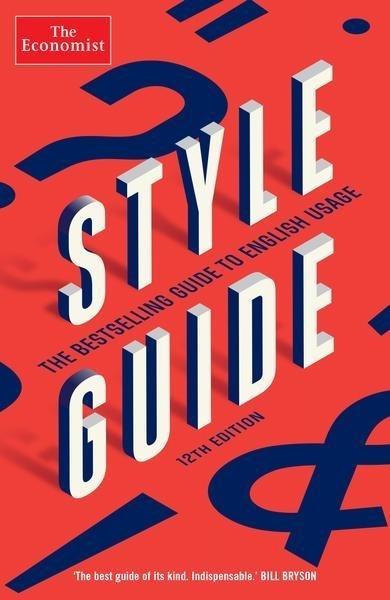 FREE - The Economist Style Guide with every order! Founded in 1843, The Economist was created by a British businessman called James Wilson who advocated free trade. Regular topics included changes to both British and foreign law, reports from parliament and major updates such as mechanical and scientific advances, shipping and rail news and agriculture. With an Economist magazine subscription, you’ll join over 6 million readers who rely on the objective news and views shared by The Economist team on the global issues you need to know about. Championing clarity and brevity in every feature, don’t miss a minute on the global agenda with an Economist magazine subscription. The Economist magazine is published every week with a global perspective on the news and an informed, authoritative voice on major updates in technology, business and the economy in every issue. Covering a wide breadth of topics and maintaining clarity, objectivity and precision, The Economist magazine is ideal for those who need fast facts and figures without reaching for a newspaper every day. Hadn't picked up a copy since I was a student. But read a colleagues copy in the offic and remembered how great it was - and then decided to subscribe! How much is The Economist magazine? How often is The Economist magazine published? How can I buy The Economist magazine? How many issues of The Economist magazine are published each year? Who publishes The Economist magazine?